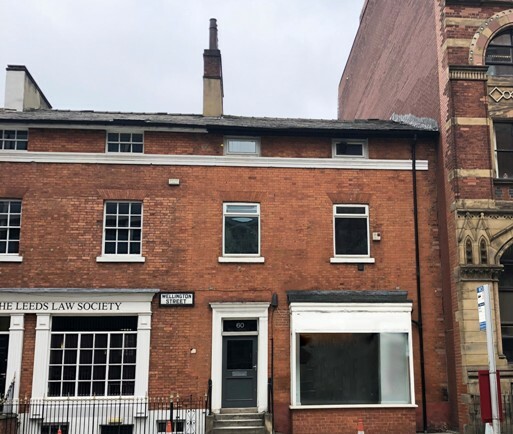 Priestley Investments, part of the wider Priestley Group, has acquired a commercial site on Wellington Street in Leeds, with plans to transform the building into high quality offices. Located in the heart of the city’s business district, 60 Wellington Street will be meticulously refurbished to create 3,845 sq ft of contemporary office space for the rental market. Situated close to Leeds railway station and the M621 motorway, this project is in direct response to demand from local businesses for luxury office space in a central location. A 12-week programme of extensive refurbishment work will be carried out on the three-storey property by the firm’s contracting arm, Priestley Construction. The existing interiors will be stripped back and transformed into bright, open-plan offices. A modern, industrial feel will be achieved through exposed brickwork and services. Priestley Investments acquires and retains both residential and commercial property throughout Yorkshire, the North West and London. Nathan Priestley, chief executive officer of the Priestley Group, said: “Thanks to Channel 4’s highly publicised move to the area, there is an opportunity to cement Leeds as one of the UK’s core cities, positioning it as a cost-effective place to do business that equals London and Manchester. Priestley Investments is committed to expanding its portfolio in key areas of the North, including Leeds, Bradford, Wakefield, Manchester and Warrington, over the next five years.